As we approach the 50th anniversary of the assassination of John F. Kennedy a new revelation has surfaced, joining the countless other revelations that point to a massive conspiracy to assassinate president John F. Kennedy in Dallas. 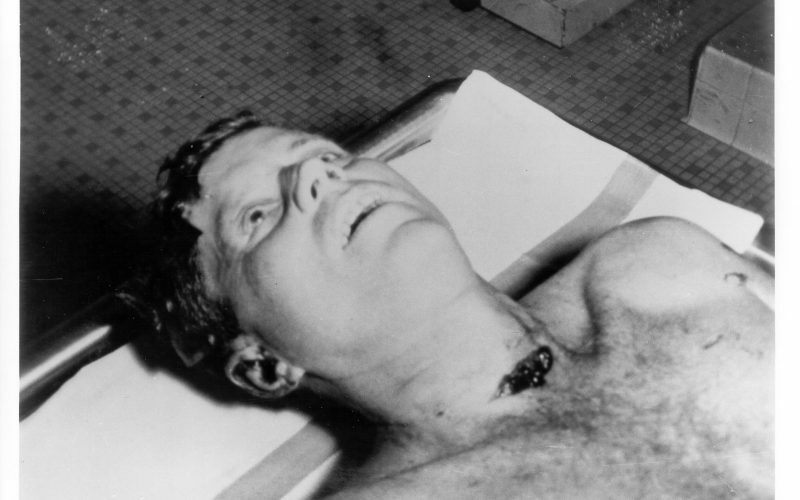 One of the first nurses present at Parkland Hospital to receive the fatally wounded Kennedy has very recently told an audience she observed a bullet lodged between the president’s ear and shoulder. This bullet, or any mention of it, later completely vanished from the autopsy-reports. As the Sunday Mirror reports, the nurse recalls a “mystery bullet” lodged in the president’s body ” between his ear and his shoulder”. “I’d had a great deal of experience working with gunshot wounds, but I had never seen anything like this before. It was about one-and-a-half inches long – nothing like the bullets that were later produced. In light of this recent bombshell revelation it’s ironic that the sixth floor museum, a great proponent of the lone gunman theory, did an interview in March of 2012 with the former nurse at the museum in the context of the upcoming 50th anniversary. It turns out that the museum’s guest would later provide bombshell evidence of a mystery bullet. Posted in JFKTagged Assassination of John F. Kennedy, Lyndon B. JohnsoncommentLeave a Comment on 2013: Was “Mystery Bullet” At Parkland Hospital Supposed To Be The Original Magic Bullet?